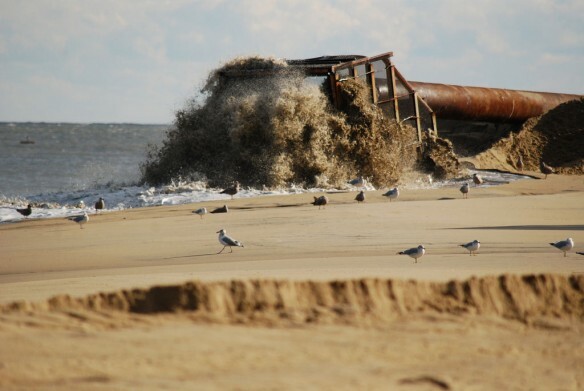 The U.S. Army Corps of Engineers Philadelphia District is renourishing Dewey, Rehoboth, and Bethany beaches, Delaware. Photo source: ©© U.S Army Corps of Engineers. Sand Wars, An Investigation Documentary, By Denis Delestrac © 2013.